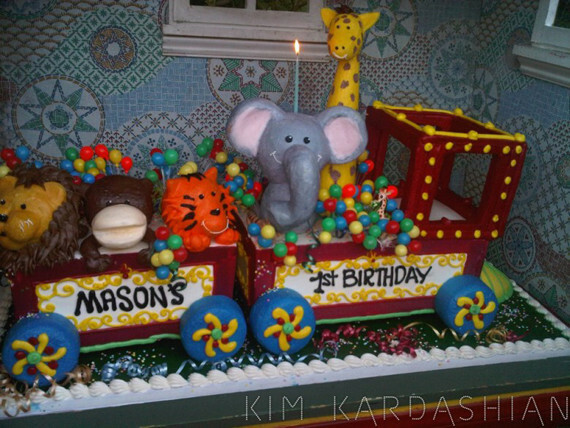 Kourtney Kardashian's son Mason just turned one, and the whole family celebrated with baby animals, an elaborate cake and many photos of Kim. Mason's first birthday party was so much fun! Kourtney organized the most amazing carnival-themed party with a bunch of adorable farm animals, a carousel and lots of fun food! Kiyan and I took a ride on the train together... I think I had just as much fun as Mason and the other kids did that day, LOL. Here are a few photos, see the rest here.